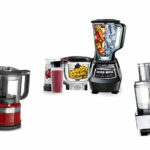 Top5 » Kitchen & Dining » Small Appliances » Food Processor vs. Blender: What Are the Differences? Food Processor vs. Blender: What Are the Differences? Technically, you can use both a blender and a food processor to blend up ingredients, but they aren’t necessarily the same. 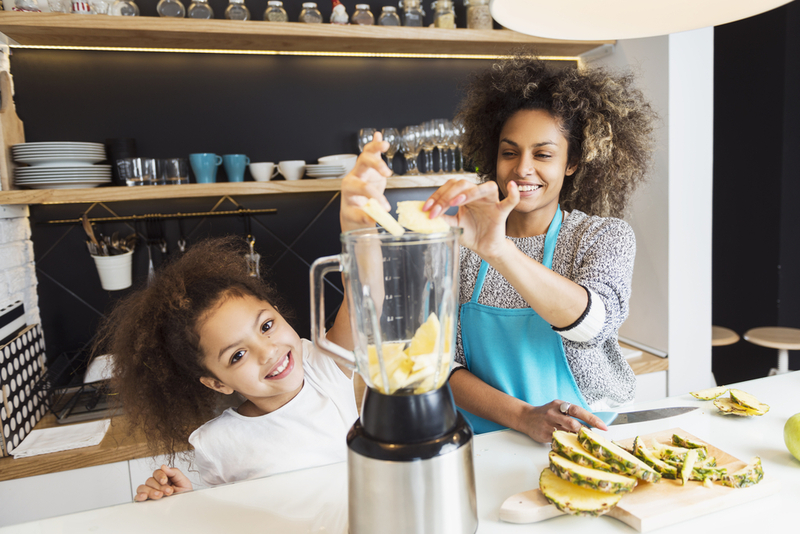 A food processor vs. blender often gets confused because they have similar functions, but they can serve different purposes. Food processors shine in some areas, like with dry ingredients and heavy duty mixing. On the other hand, you will probably get the best smoothie results with a good blender. To clear things up, we’ll go over food processors vs. blenders. A food processor is a multi-purpose machine that can blend, chop, mince, slice and much more. They make cooking steps much simpler and faster, which cuts down on the time it takes you to prep. With a food processor, you can skip a lot of the time-consuming steps like chopping vegetables and fruits. You can throw in your onions and garlic and have it ready for your recipe in minutes. Saving time isn’t the only benefit a food processor offers. They are useful because they can handle all types of jobs. You can cut butter into flour, make nut butter, or even make and knead dough. The list is endless when it comes to the number of things you can do and make with a food processor. 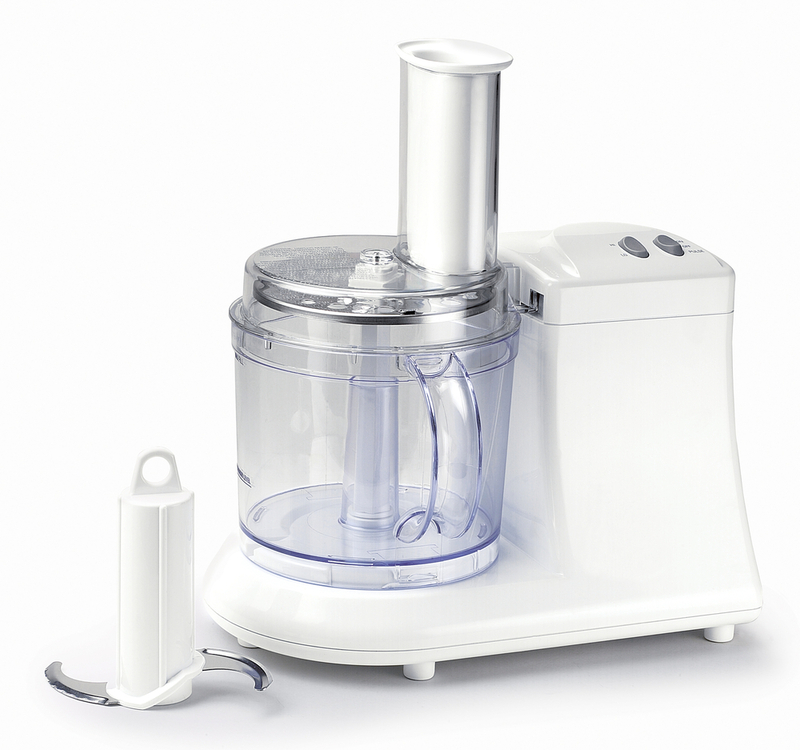 A food processor is a mixing bowl with sharp blades at the bottom and a large feeding tube at the top. The mixing bowl is usually wide and big and is designed for a variety of ingredients and textures. At the top of the processor, there is typically a feeding tube where you can insert the ingredients while it’s closed. The size of the feeding tube varies depending on the brand. To use a food processor, add in your desired ingredients and press the pulse buttons until you get your desired result. You can choose from a variety of speeds and settings depending on what you want to make. The mixing bowls are usually large enough to handle up to 12 cups or more, so you can make large quantities. There are a few different types of food processors to know about, including the specs. Typically, the standard food processor size holds about 10-12 cups. From there, the number and types of attachments and blades differ from brand to brand. For example, the Breville Sous Chef Food Processor comes with two mixing bowls and five disks and blades to choose from. The different disks give you a different slice or work well with different textures. For example, to knead dough you’ll need a more blunt blade you’d use to chop onions. There are also mini food processors or mini choppers, which are smaller versions that are primarily designed to chop up vegetables quickly. These are great and economical, but they won’t hold the same amount of things a full-size processor does. Check out our reviews of the best food processors to find out which size and settings you should be looking for in a food processor. Who Is the Food Processor Suited For? Food processors are the perfect machine for the kitchen creatives. When it comes to the food processor vs. blender, it’s clear that a food processor can handle more tasks than a blender can. Stick with a food processor if you want a machine that will almost do it all. There are plenty of powerful, multitasking processors out there that have interchangeable attachments. If you’re interested in chopping vegetables, making dough, making purees and pastes, a food processor vs. blender is best suited for you. 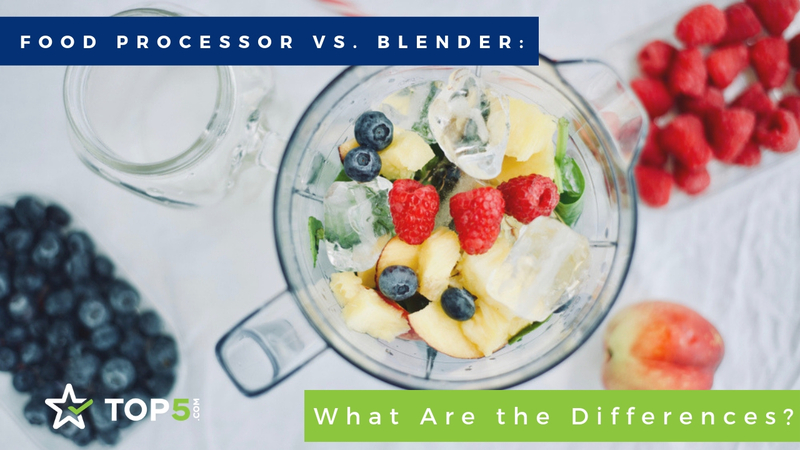 When it comes to the things a blender can do, the food processor vs. blender debate may seem to get muddy, but there remains a clear winner when it comes to specific tasks. Blenders are great machines for whipping up smoothies, cocktails like summer margaritas, and other liquids. A food processor may not be able to get the perfect texture that you desire, but a blender is designed specifically for this. A blender has a narrow mixing bowl or container with sharp blades in it at the bottom. The bottom sits on top of the motor, which controls the pulse and settings. The top usually has a small removable piece so you can add in ingredients without removing it. However, this feeding tube is usually small and narrow, so it isn’t suitable for big ingredients. Blenders come in all shapes and sizes, and the things blenders can do is always evolving. Conventional: A conventional one is perfect for making smoothies or salsas. High-performance: A high-performance blender can handle heavy-duty jobs like crushing ice. Immersion: An immersion blender is a handheld device that is perfect for pureeing soups without removing the contents into another container. Personal blender: Personal blenders like the NutriBullet are popular for the on-the-go smoothie drinkers because you can remove the container and screw off the top to take it with you. Who Is the Blender Suited For? 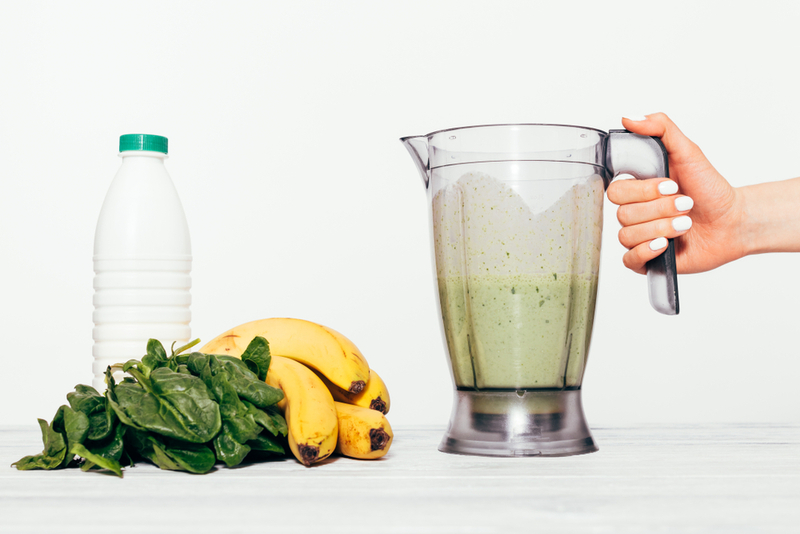 For the smoothie lovers, the blended cocktail makers, and the liquid meal people, the blender is without a doubt your best bet. Although food processors vs. blenders can handle some different things, blenders are still the best option when it comes to handling liquids. If you don’t anticipate yourself using it for more than liquids, it makes much more sense to get a blender for your kitchen. Similarly, if you want a powerful tool that may be able to handle more heavy duty tasks but isn’t a food processor, try a good high-performance blender that can handle the job. 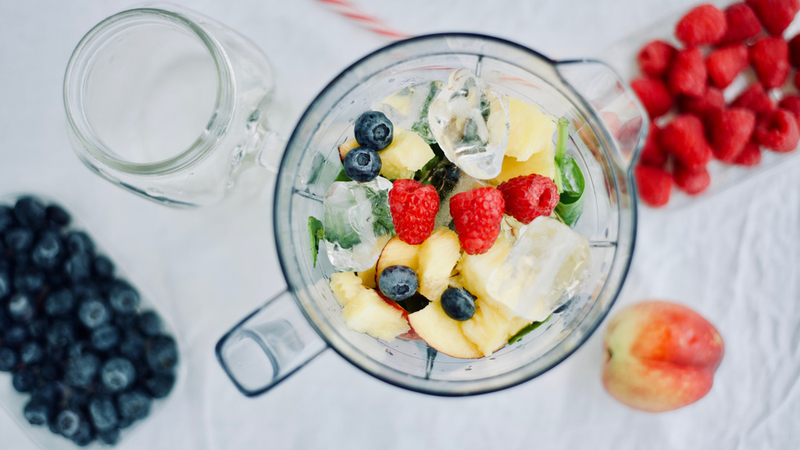 A blender is great for someone who loves to experiment with liquids or smoothies. So, which of these two kitchen items do you need? There’s no doubt that both of these kitchen appliances are extremely useful in the kitchen. They both cut down on time during cooking and can blend ingredients in no time. They are must-haves as kitchen tools. However, choosing between the two can be tricky, as the lines of what they do are blurred nowadays. The answer depends on what kind of cook you are and what you intend to use it for. Do you like to blend a smoothie in the morning and whip up a quick salsa to go with lunch? People who want a powerful machine to blend up liquids should go with a good quality blender. You can choose between the different styles, like a conventional shape vs. a personal one. 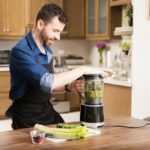 Several new higher power blenders come with great features that can do some of the things a food processor can. Overall, a blender is the better choice for someone who wants to use it for normal tasks. Food processors are appealing when you number the creative things you can make with them. They can cut down on time prepping your ingredients, or they make entire meals. Food processors tend to carry more food and can serve for much more than a blender. 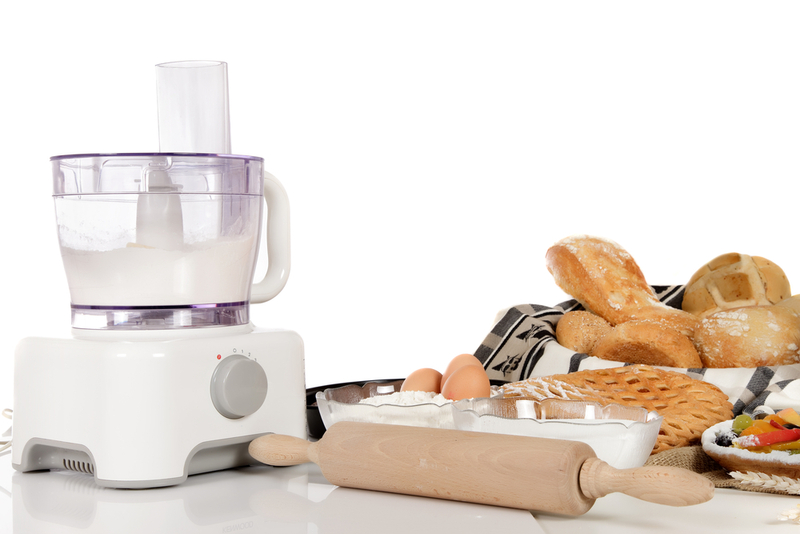 If you like to bake or work with thicker, denser textures, a food processor is your best option. 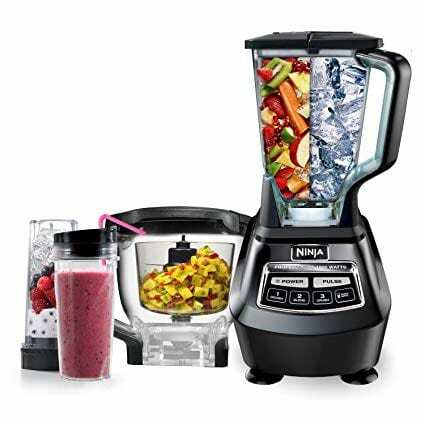 Finally, if the decision is too hard, try the Ninja Mega Kitchen System, which includes a food processor and blender all in one. You can get the best of both worlds with it’s high powered, high-performance kitchen system. After reading about the differences between food processors vs. blenders, read about the best blenders or click next to read about the best food processors. 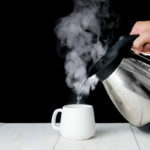 Top 5 Reasons Americans Need to Get an Electric Kettle ASAP Pressure Cooker vs. Slow Cooker: What’s the Difference? 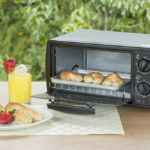 15 Surprising Ways to Use Your Toaster Oven 15 Creative Food Processor Uses You Didn’t Know About Air Fryer vs. 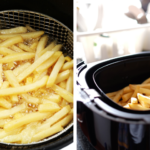 Deep Fryer: What’s the Difference? Pressure Cooker vs. 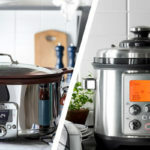 Slow Cooker: What’s the Difference?